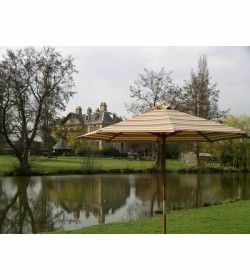 Parasols - Emerald hardwood range There are 4 products. 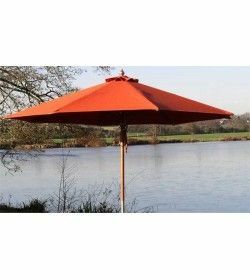 The split pole is made from tough hardwood with a polished aluminium fitting and this makes it very easy to store when not required. 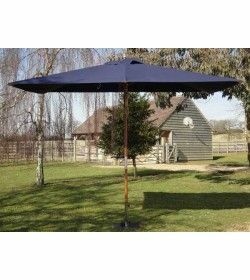 The canopy is operated with a double pulley system that spreads the pressure across the mechanism meaning it won’t fail with regular use. Fading in direct sunlight is prevented with the use of UV stabilisers and colour fast additives. The decorative tufting around the finial looks great and adds that little attention to detail. The 300cm Emerald range are great for commercial outlets and larger domestic dining areas. 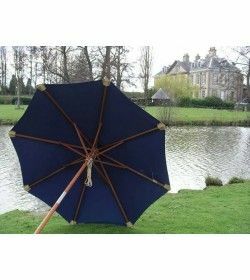 The emerald range as a whole are some of our most popular parasols as they’re very stylish and highly practical in their design. A tough hardwood split pole is finished with a polished aluminium centre-piece that’s rust free and looks great.